June 6, 2018, Aurora, Neb. — Hamilton Telecommunications, a local technology and telecommunications company has expanded its workforce by five with the addition of several local students working in summer internships within the company. Hamilton is proud to announce and welcome Jacob Ediger, Paige Faber, Sydney Shaw, Zachary Oblender, and Isaac Askey as Hamilton interns. Each of these interns is a current student pursuing a post-secondary education degree and has returned home to work over their summer break. These students were hired for a position that best matches their field of study and interest and are working in the areas of programming, sales and marketing; bid writing; and business office support. As part of their internship, they will be working closely with Hamilton employees who will help guide them throughout their time with the company. The goal for the interns is to expose them to day-to-day activities in the fields in which they are studying to give them a broad overview of the company and a feel for what a career in their area of study looks like. Hamilton has applied to participate in the InterNE Department of Economic Development program. InternNE provides grants for businesses to offer internships and connects college students and employers from across the state, providing a unique opportunity for them to co‐invest in the future. Applications for InternNE are pending. 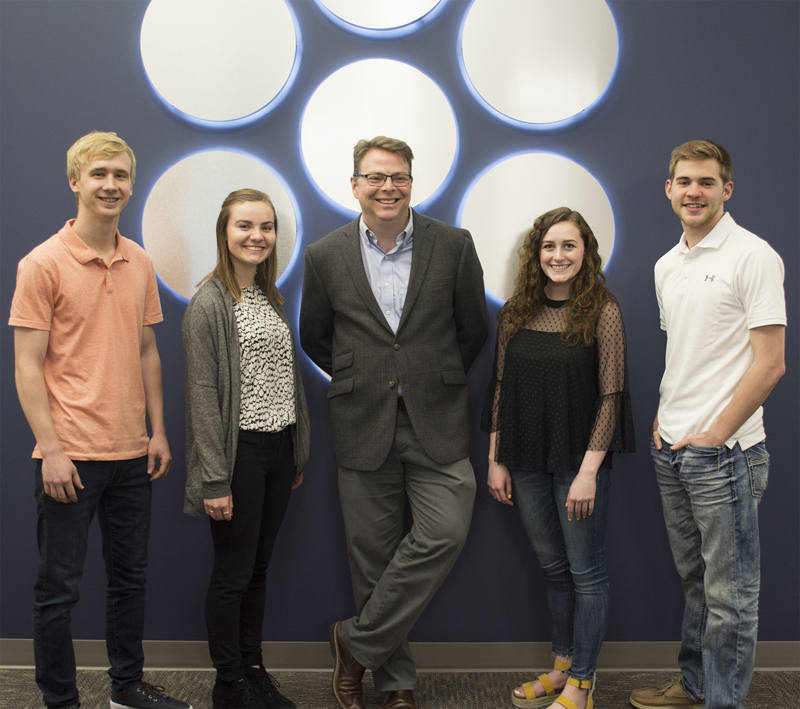 Over the past few years, Hamilton has had more than a dozen interns and remains committed to offering an internship program that benefits the student, the company and the community. Hamilton Telecommunications is a diversified telecommunications and technology services provider based in Aurora, Neb. Founded in 1901, Hamilton Telecommunications encompasses eight primary company divisions that allow Hamilton to operate on a local, regional and national basis.